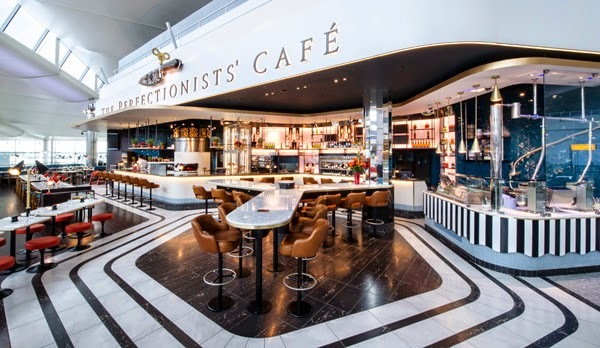 Heston Blumenthal's new restaurant, The Perfectionist’s Café, has opened this week in Heathrow's redeveloped Terminal 2. 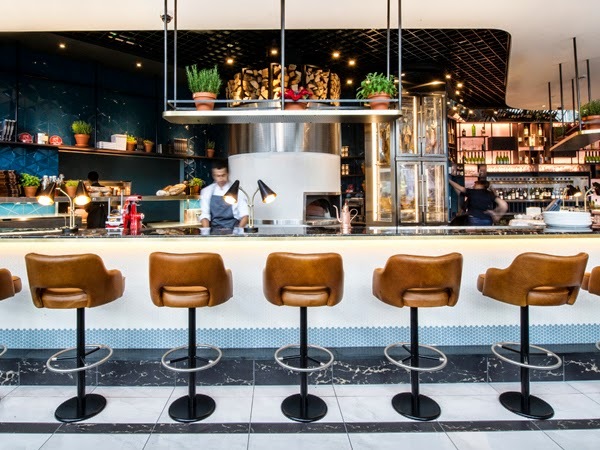 Designed by AfroditiKrassa, the interior takes inspiration from the golden era of travel, chiming with the 1960s and 1970s influences of Blumenthal's menu. The interiors reference the retro nostalgia of Mad Men and 1950s-set film Catch Me If You Can, as well as classic midcentury designs by Verner Panton and American graphic designer Saul Bass. Deep woods, dark marble, leather and brass combine with a rich colour palette of zingy black and white, mustard, pale blue and orange. 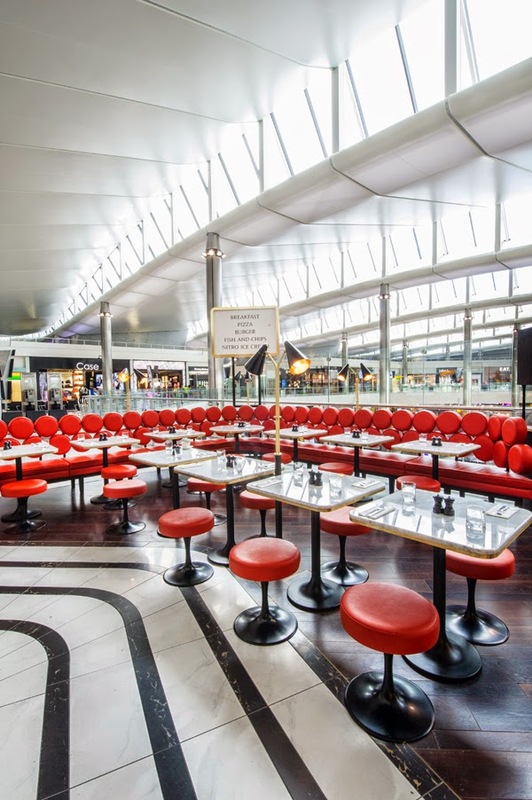 Seating on the outside of the space caters to quicker meals and refreshments, while diner-style booths and tables in the centre of the space encourage a longer dwell time in a relaxing setting where customers can watch planes land and take off. The communal table at the entrance to the cafe is shaped like a propellor, and faces an open kitchen studded with nitrogen ice cream machines. 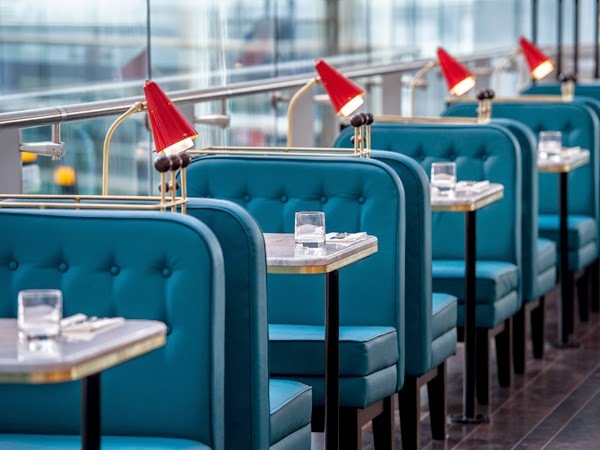 The restaurant is the first airport eatery to feature liquid nitrogen ice cream, and also the first to incorporate an exposed woodfired oven.